Eliza was a Tr’ondëk Hwëch’in citizen who lived in her traditional territories in the Klondike. 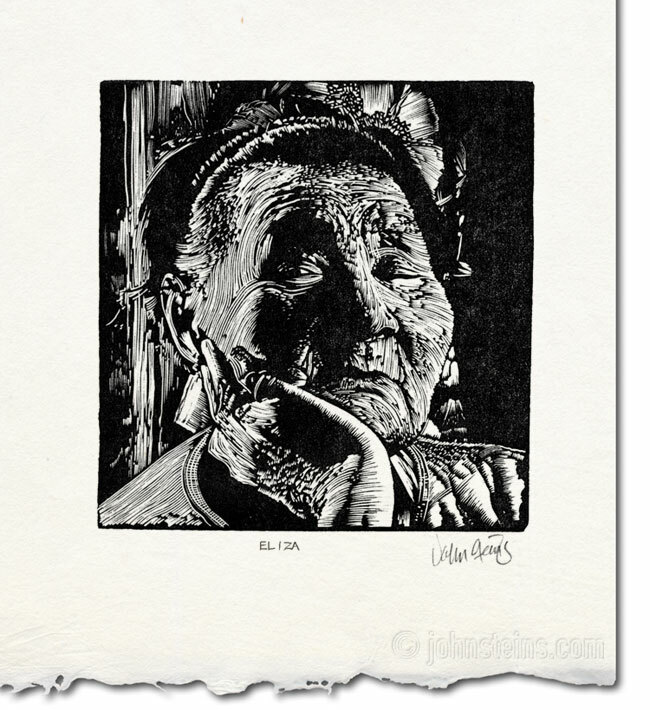 She had an amazing depth of character and appearance which I tried to capture in this wood engraving. My print is based on a photograph by Paul Gowdie. Watermark and deckle paper for illustration only. A very powerful image that uses the ‘ limitations’ of the medium to great effect.